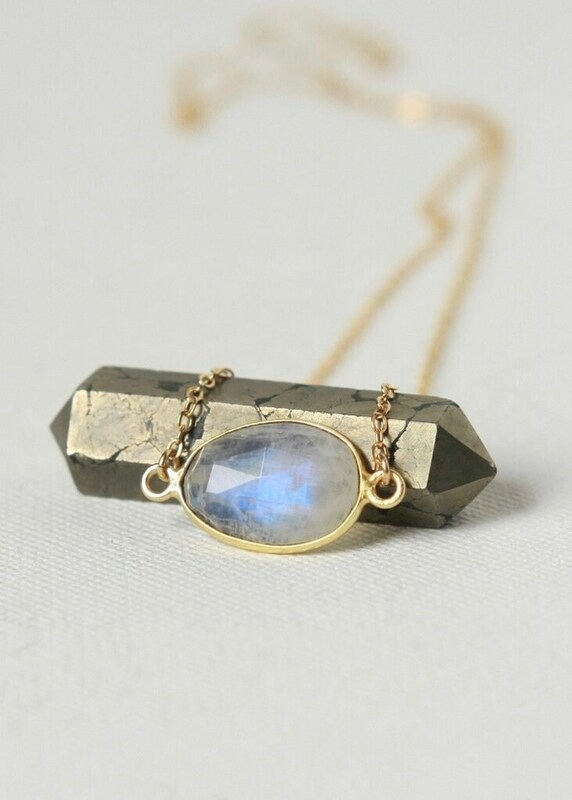 Moonstone is one of my favorite gems - I just love the blue flash found in these stones! 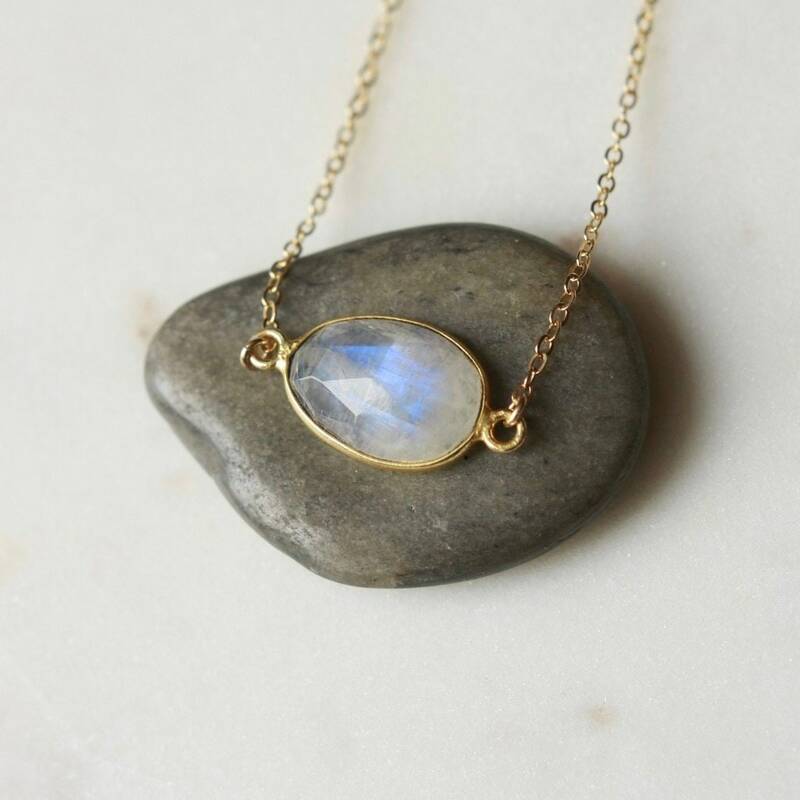 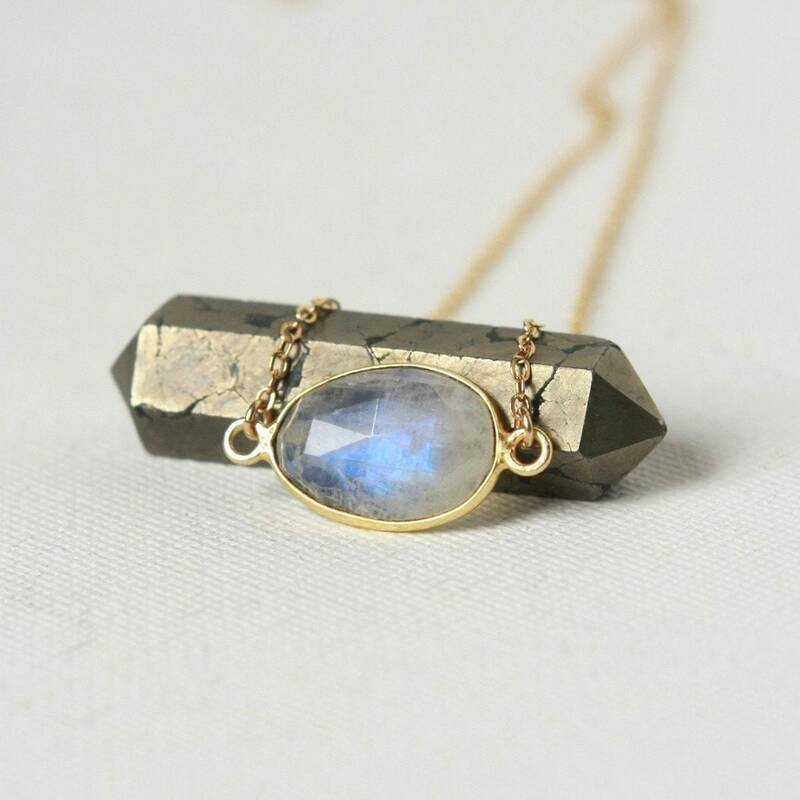 This elegant necklace features a gorgeous faceted rainbow moonstone with lovely fire. 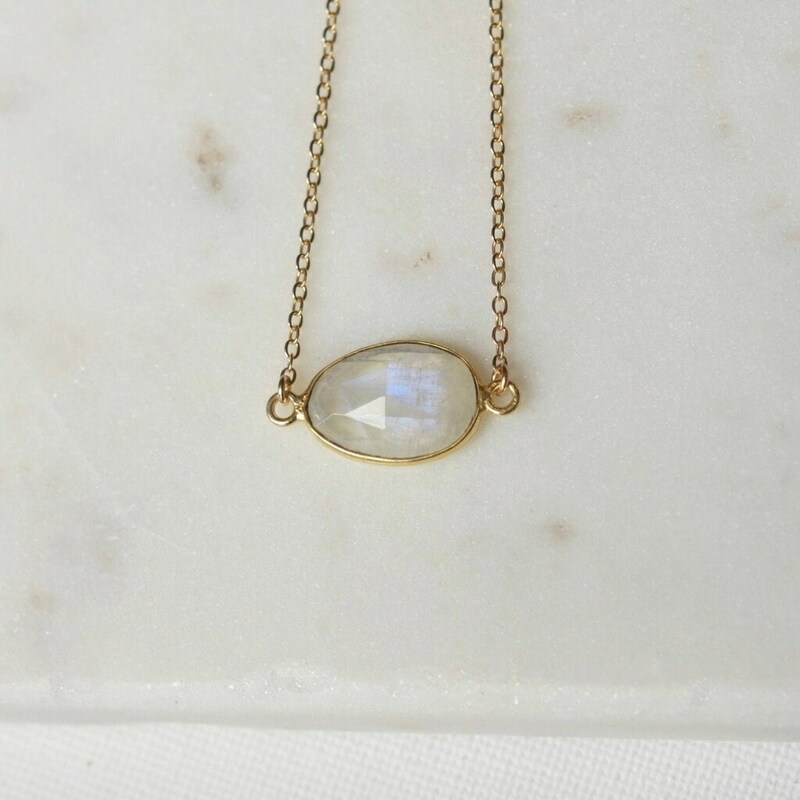 The pendant is bezel set in gold vermeil and measures 22mm across (including the rings) by 10mm tall. 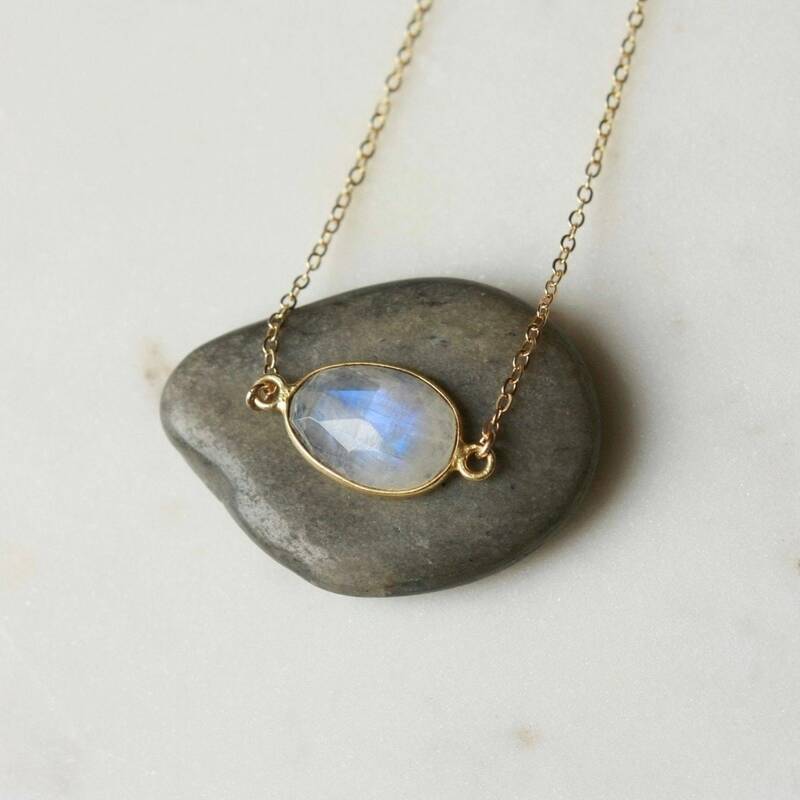 The pendant hangs from gold-filled cable chain and the necklace is fastened with a gold-filled lobster clasp. 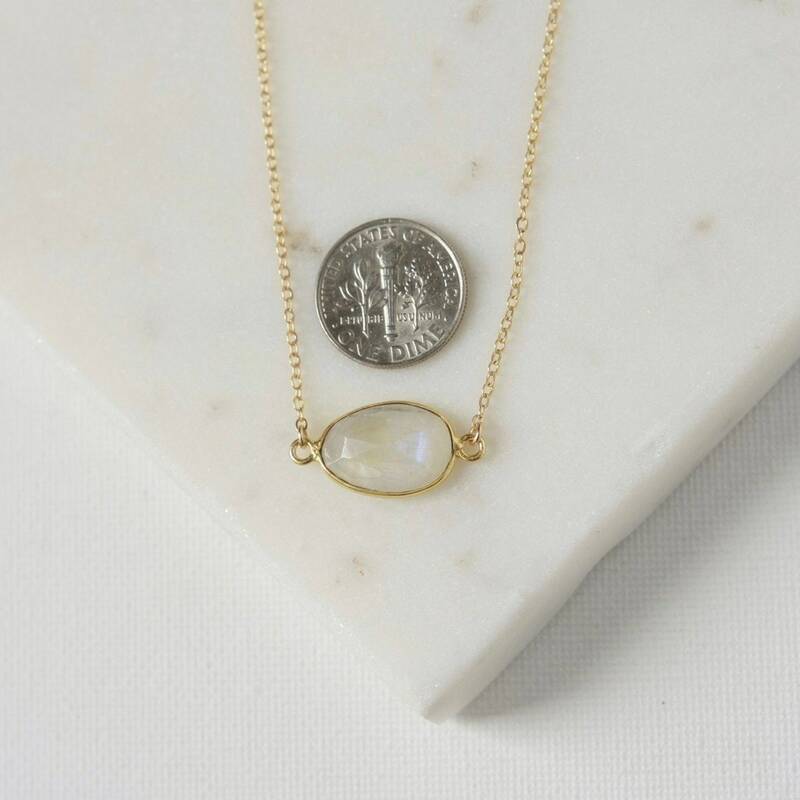 You can choose your desired length from the drop-down menu above.